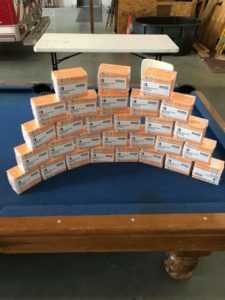 Star City Fire & EMS received its allotment of naloxone purchased through a grant by the DHHR. Did you know that EVERY Fire Truck and Ambulance at Star City Fire & EMS is certified by the WV State Office of EMS to carry lifesaving medications like naloxone? Want to learn more about your community volunteer fire department and its citizen volunteers? Then check out our ABOUT STAR CITY VFD PAGE. Want to learn more about becoming a citizen volunteer and helping the residents of Monongalia County? Visit our MEMBERSHIP and RECRUITMENT pages.